Married couples should also understand that sexual relations within marriage are divinely approved not only for the purpose of procreation, but also as a way of expressing love and strengthening emotional and spiritual bonds between husband and wife. The Church strongly discourages surgical sterilization as an elective form of birth control. Surgical sterilization should be considered only if (1) medical conditions seriously jeopardize life or health or (2) birth defects or serious trauma have rendered a person mentally incompetent and not responsible for his or her actions. Such conditions must be determined by competent medical judgment and in accordance with law. Even then, the persons responsible for this decision should consult with each other and with their bishop and should receive divine confirmation of their decision through prayer. As you can see, on one hand, the Church Leaders say that birth control is a decision between husband and wife. However, on the other hand, when it comes to getting a vasectomy (which is probably the ultimate form of birth control) they strongly discourage it and encourage the couple counseling with the bishop first. For LDS members who have a hard time with making decisions and relying on guidance from the Lord without having Leaders tell them what to do, I can see how this would be a hard decision. However, I personally feel that the way a husband and wife chooses to use birth control (including a vasectomy) is between them and God and the Church doesn’t need to be involved. 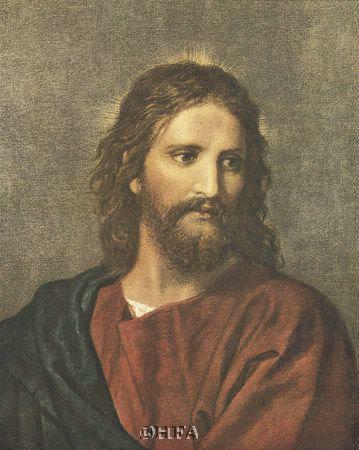 This picture of Jesus was one I had never seen before. 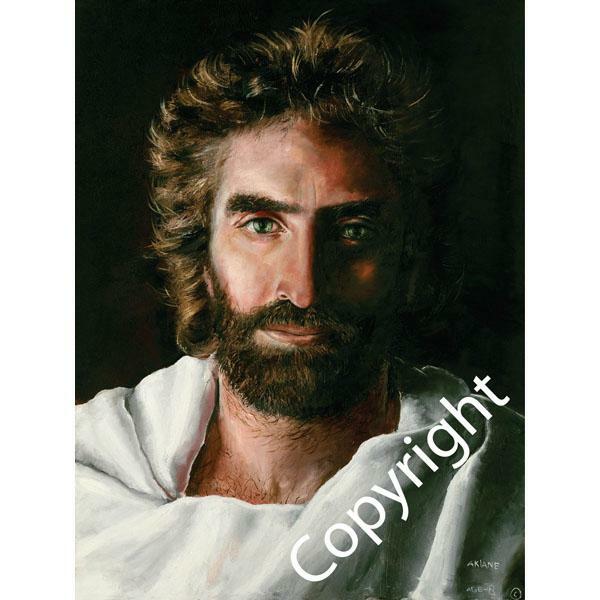 According to this picture, it looks like Jesus has trimmed his hair and is caught up with the modern-day look! This picture is one of the most famous LDS paintings out there, by Del Parsons. 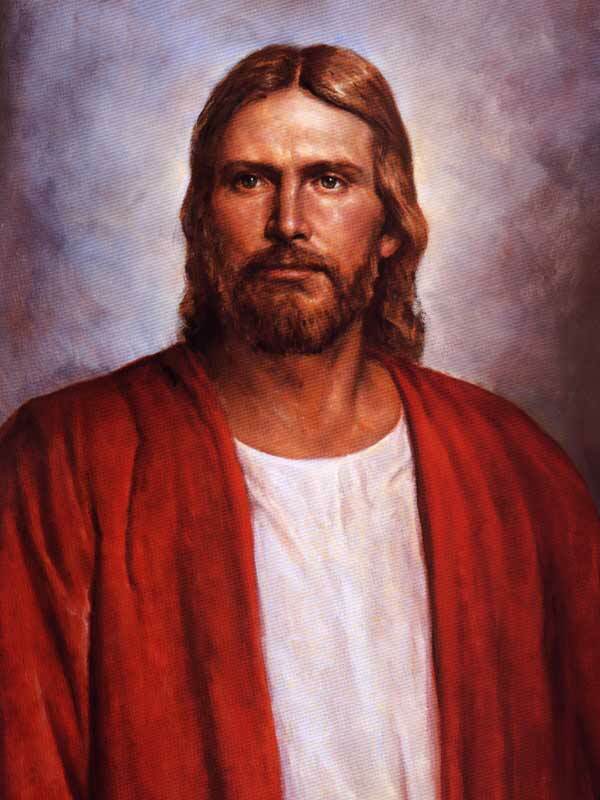 According to Mormon folklore, a prophet told him this was the most accurate depiction of Jesus and was therefore approved for world-wide distribution. I’ve never seen Jesus or had a vision of Jesus, so I really can’t judge which one is more accurate than the other. I’m sure Jesus could really make himself look however he wanted himself to look, really. I guess sooner or later all of us will find out though! Just for fun, I’ll add a little poll. Which Jesus do you think is the most accurate? Spencer W Kimball’s (former LDS Prophet) spoke to BYU students a number of years ago on becoming perfect as our Father in Heaven is perfect. In this talk, he outlined areas where we should strive for perfection, which include: personal integrity, commitment to (BYU) standards, honoring covenants, roles of men and women, and personal appearance. 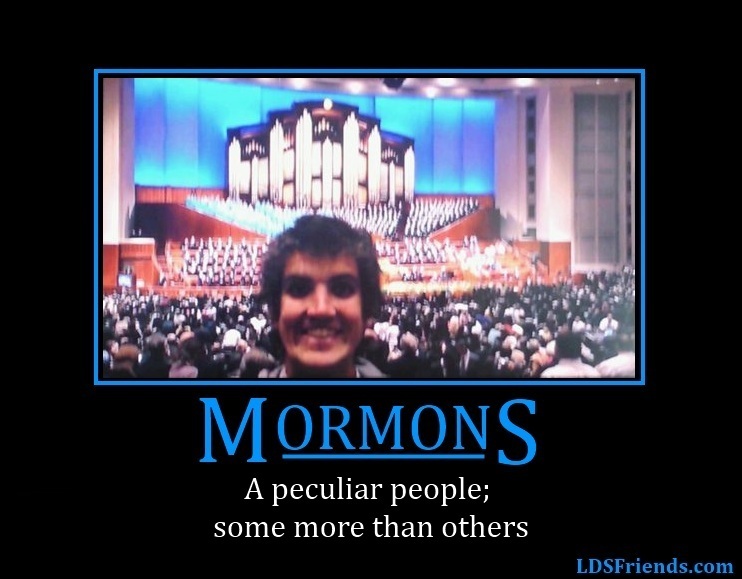 While I agree that it is important to strive to become closer to God each day, I have experienced sometimes within the LDS culture a tendency for members to over emphasize some of the points that Kimball mentioned about being “perfect”. I have personally seen how this can lead to judgement of others, and essentially pulls people away from God when they think they are doing everything “right” in order to be favored of God. Each person is travelling this journey of life and is on a different point along the path and with their relationship with God. Do I think it is a good thing to strive to be perfect in our covenants, integrity, commitment, and personal appearance? Absolutely! However, those of us who may be further along the path or perhaps have learned how to experience a close relationship with God shouldn’t shun those of us who are perhaps at a different point. I’ll share some examples regarding striving for perfection in appearance, particularly on Sunday. Within the LDS church, members are expected to dress a their Sunday best when attending meetings. Men are expected to wear a white shirt and tie and if you are the Bishop (pastor) I’m not sure if it is just an unwritten rule, but a suit is always the norm. Additionally, facial hair is not accepted if one is called to a leadership position such as a Bishop or Elders President (Men’s Group Leader). I assume the reasoning behind this is to portray the image of being closer to Jesus. The white shirt represents purity, closeness to God, etc. While I do not have a problem with people wearing their Sunday best, I do have a problem with people who wear their Sunday best and then belittle or criticize those who don’t wear their church clothes in the same exact way. I’ll share a personal story. A couple years ago, we moved to a new ward (congregation) and I wore a colored shirt with out a tie to church the first Sunday. The bishop of the congregation came up to me and said some things that could have been offending if I had let them be. Other personal examples are that I usually do not button my top button on my shirt when I wear a tie (I hate wearing ties!) because it is too restrictive. I also have other clothes that I feel fit my personality and style, which I feel are Sunday best but not necessarily a white shirt. When I wear these clothes, I’ve been teased and even reprimanded over the years. It gets even more fun when I let my beard grow out! Another example I heard just the other day was a lady who came to church who hadn’t been in awhile and she invited her non-LDS friend. They both wore nice dress pants, but felt very looked-down upon and unwelcome because they weren’t dressed in the “right way”. She decided she didn’t want to come to church again. I think the problem with having a mandate to have everyone look and act a certain way is that it then becomes a social norm. Subconsiously people think that it is wrong not to look and act in that certain way and others get ostracized or belittled either to their faces or behind their backs. In addition, I’ve seen that if people are not dressed in the certain way that is normal, people think that is an outward expression of inward sin on the part of the individual. So next time you see someone at church who may not be wearing clothes that are supposed to show an outward appearance of perfection, make a concious effort to not judge them, but reach out to them and get to know them for who they are. Chances are, they’re just trying to develop a relationship with God just like you are. They just hate wearing ties! Of these ones I posted and the ones listed on the ldsfriends.com website, I think I like the one about alcohol the best. Which one do you like…or is there a different caption you would choose altogether? Since I served a 2 year mission in Germany, I am fairly familiar with the culture there and the shame the German people feel as a result of the tragedies surrounding the Holocaust. From my experience, most of the common people of Germany did not know what was going on during the war. They just knew that Hitler had bailed them out with Government programs and promised them a better life, which he did. However, things slowly but surely turned south as the government took over. Today is the national day of rememberance for the German Holocaust, so I thought it appropriate to share this compelling story by David Faber, who was the only member of his family to survive the Holocaust. I listened to a broadcast of his experiences of hiding from the Nazis with his family, watching his whole family eventually get captured and killed, and his experiences with getting captured and going to concentration camps with the atrocities he experienced there. His experiences can be heard on the Focus on the Family website, or also in his Book entitled “Because of Romek” (Romek is his older brother who sacrificed his life to save his family from the Nazis”. There are some graphic stories on there, so be aware of that. I think it is important for us to reflect on these experiences from the Holocaust because the terrible inhumanity that occured then didn’t happen all at once. It happened little by little and people were “lulled” into acceptance of such evil. Take some time and listen to his experiences and pray for strength for yourselves, friends, family, and our societies. It is important to share these experiences with our loved ones just so people can be aware of what can happen if we are not careful to “put on our armor” each day through prayer, scripture study, and a relationship with God.